These rifles have a standard specification packed with features that set it apart from other guns in its class. Fast-fire side leaver action with 14 shot rotary magazine (two supplied). Unique single pellet loading mechanism two-stage match trigger with, manual safety operational only when action is cocked. Fully floating barrels, screw cut and fitted with the HW high efficiency silencer. Detachable stainless steel reservoir with integral pressure gage and radial quick fill valve assembly. 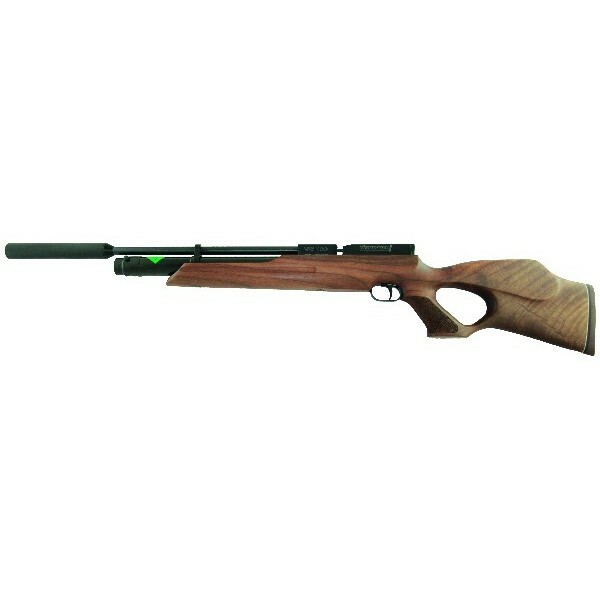 Beautifully crafted walnut stocks, with rubber recoil pad. Charging adaptor to DIN 200/232 bars. Exhaust tall for air reservoir.